After 30 years in the one retail complex, Hearth House Balcatta has become a local icon. Originally known as Solid Fuel Heating operated by Roger & Julie Stanton but was bought Hearth House in 1992. Hearth House has continued to provide air-conditioning and wood & gas heaters to families throughout the Northern suburbs from Stirling to Joondalup, from Karrinyup to Morley. 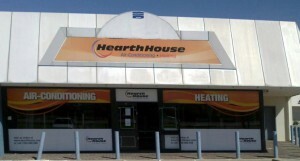 Located at the Stirling Gate Shopping Centre on the corner of Wanneroo Road and Balcatta Roads, Hearth House has been a popular destination for many families from regional areas such as Two Rocks, Yanchep and right up to Lancelin seeking top brands in heating and air-conditioning along with sound advice and support. Hearth House Balcatta is the right place to get the right information to solve your heating and cooling challengers.